It seems that UFC and its partnership with Facebook is intensifying, as the social network will stream UFC 127's prefiliminary bouts on the promotion's fan page. As posted on UFC’s Facebook page, the social network will stream UFC 127’s preliminary bouts on the promotion’s fan page. If you want to gain access and see the freebie fights, all you have to do is click “Like” on UFC’s Facebook page. 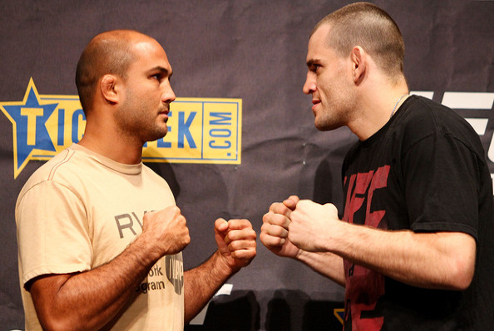 The UFC 127, that will feature a welterweight scrap between BJ Penn and Jon Fitch, is slated to take place on February 27 at the Acer Arena in Sydney, Australia. But due to time differences, the pay-per-view broadcast will air live in North America on Saturday, February 26 at 10pm ET and 7pm PT. UFC 127: Penn vs Fitch’s full card is listed below.